Sonos, the Santa Barbara, California based startup that develops of wireless multi-room music systems, is taking a new round of financing from London-based Index Ventures, we’ve heard from multiple sources. Partner Mike Volpi, a forcer Cisco exec who found himself in the middle of a huge drama last year around eBay’s Skype spinoff, will join the board of directors of Sonos. Volpi will bring real expertise to the Sonos board. As recently as 2007 he ran an $11 billion routing and access products busines for Cisco . He clearly knows how to sell products at scale. Sonos has been around since 2003 and has raised some $40 million from private angel investors and BV Capital. Until last year the company sold very high end music products that users loved passionately, but the mutli-thousand dollar price point for a complete system made mainstream penetration difficult. 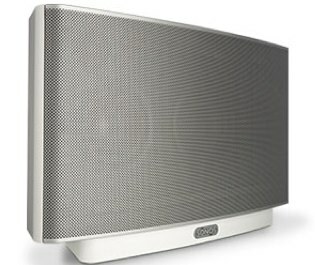 But in 2009 Sonos began selling a new product, the S5 music system, that users control via their iPhone. The S5 is just $400 and has driven “massive growth” says the company. Like Flip last year, Sonos likely had a choice between selling now or raising new money for major expansion. Flip sold to Cisco. Sonos, it seems, is taking more money, but adding an ex-Cisco exec as well. Perhaps they’ll get their cake and eat it, too. Sonos wouldn’t comment on this story. But we believe the deal will close and be announced in the next week or two.